CROSS Edge gel ink pen. 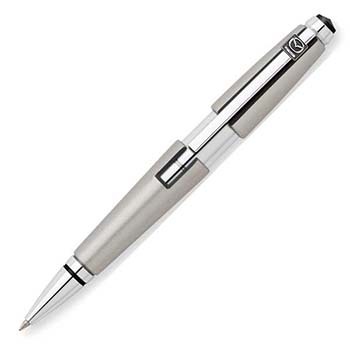 Capless retractable gel rollerpen with unique slide-open technology. Supplied in a premium CROSS black gift box. Full life-time mechanical guarantee. Comes with a A CROSS signature clip emblem.